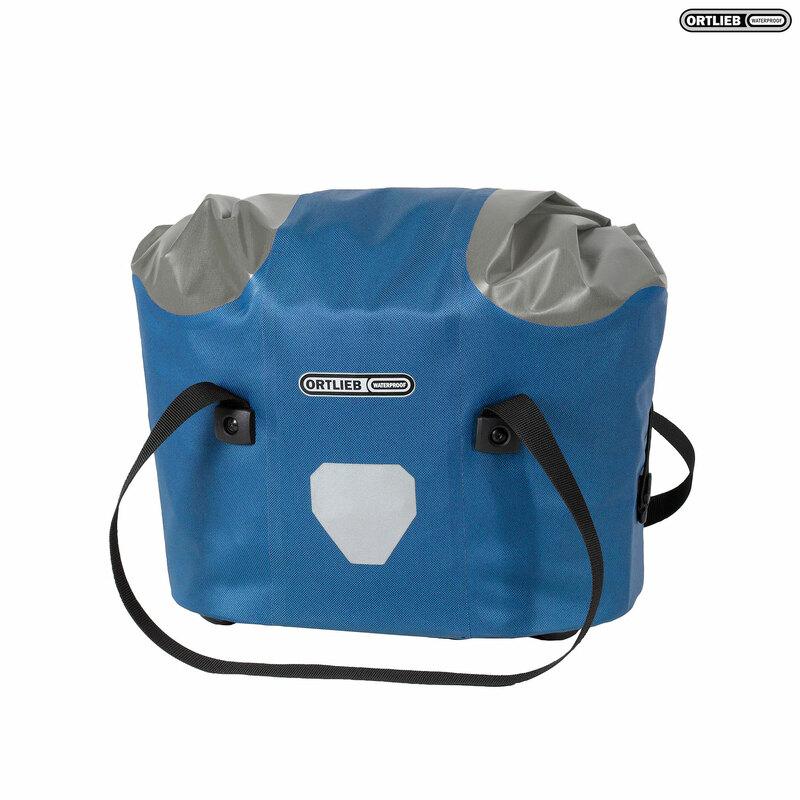 Ortlieb has reinvented the handlebar basket: stylish, practical, secure and waterproof. That makes it far superior to its "colleagues" made of wicker, wire and porous materials. Made of a lighweight nylon fabric, the Ortlieb handlebar basket is ideal for carrying your wallets, purses, and small purchases. The practical drawstring flap allows you to open it in a flash and close it reliably even when it's filled to the brim (maximum 5kg). Wallets, keys and smartphones stay safe, secure and easily accessible in the inside pocket. And when it comes to off-bike loading and unloading, you can rest assure that it'll always stay on its feet. Like the proven Ortlieb Ultimate bags, the basket attaches to your handlebar with the included mount and is also compatible with Rixen & Kaul mounting units.